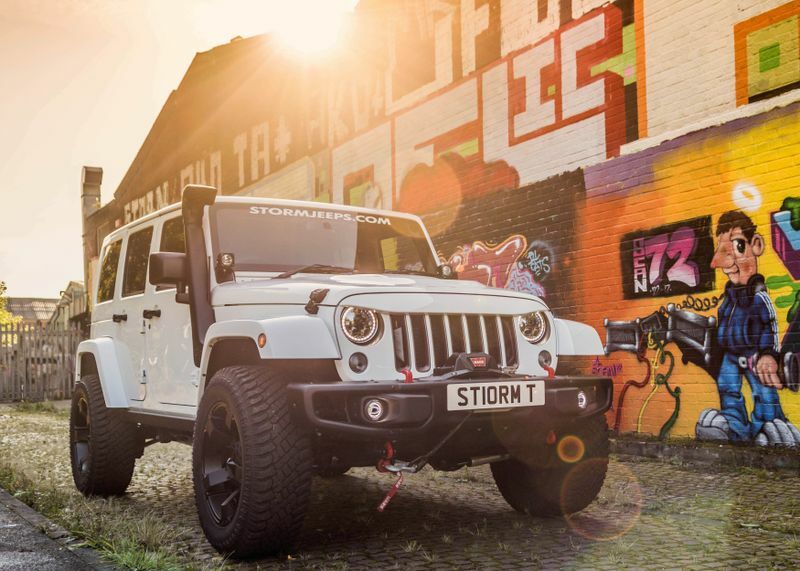 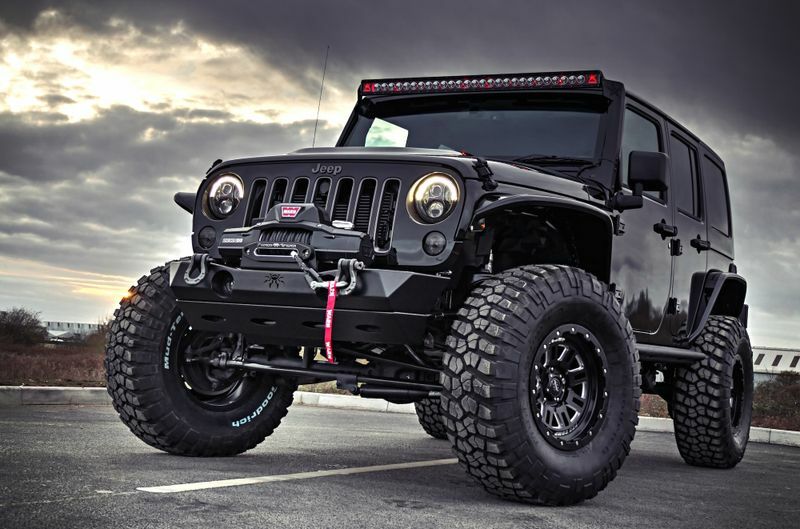 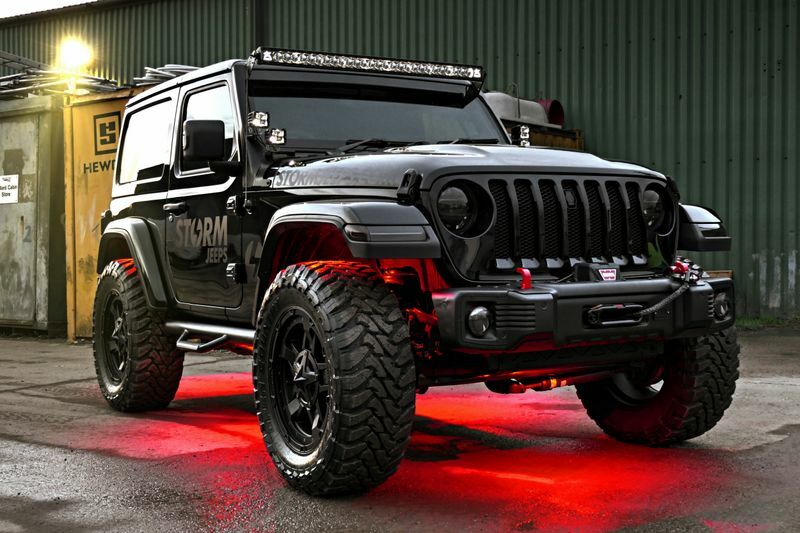 From the eye of the storm comes a new concept in custom Jeep builds – Storm Jeeps. 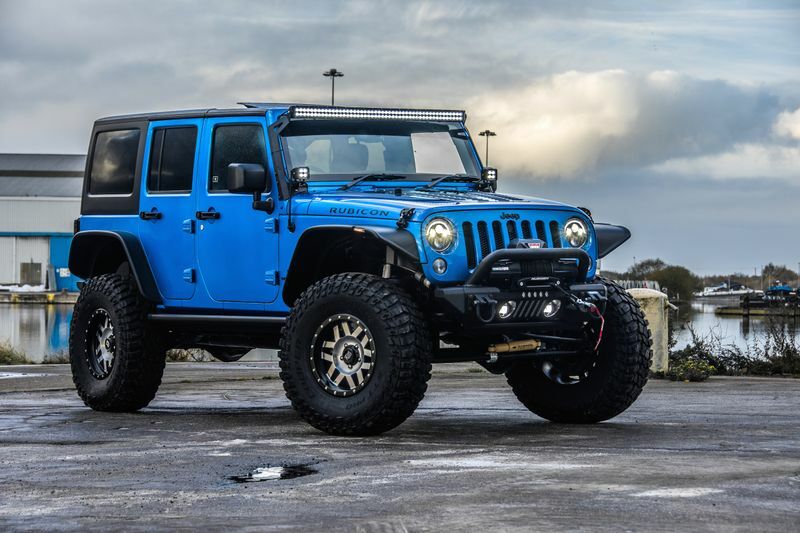 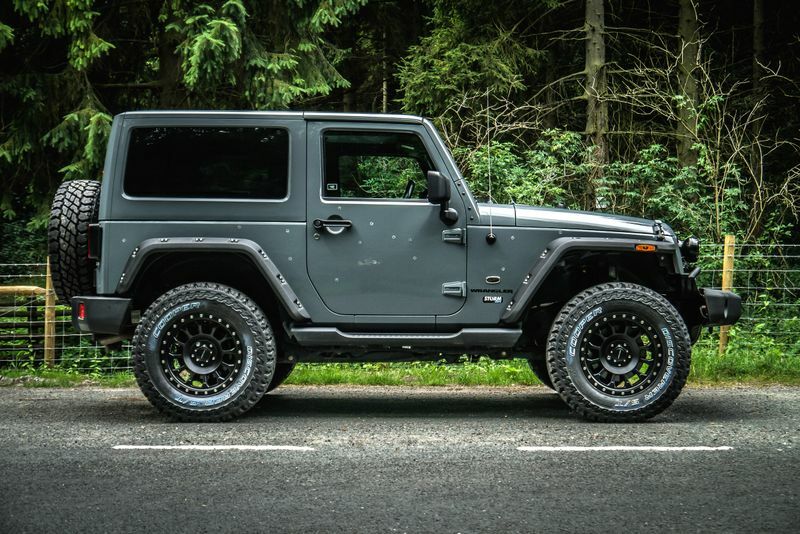 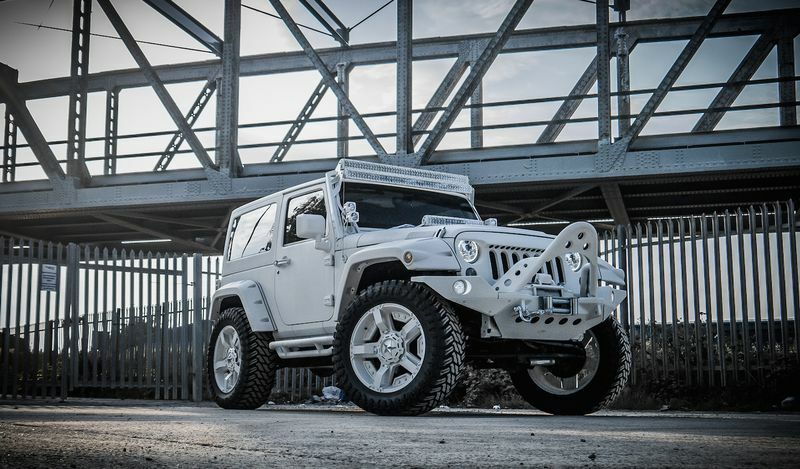 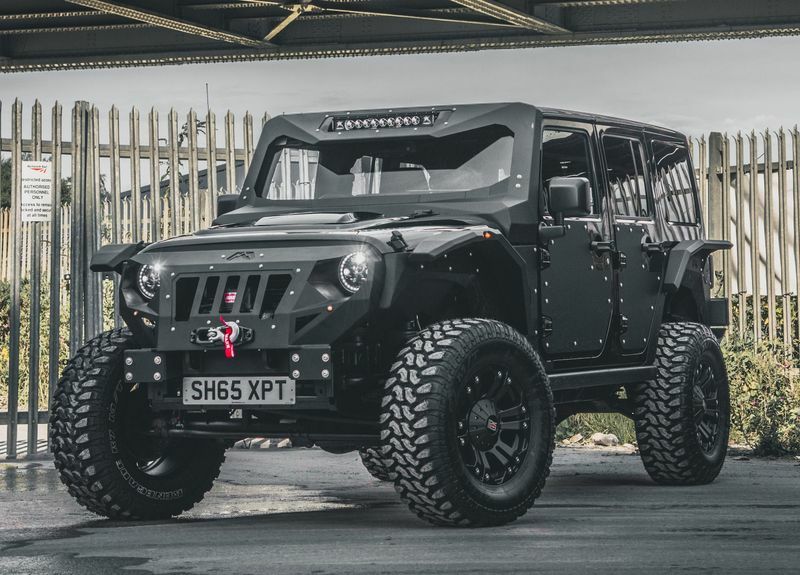 We offer a comprehensive and personal service, delivering our clients exceptional custom Jeep builds, balancing extreme off-road capabilities with class and elegance in a bespoke styling package. 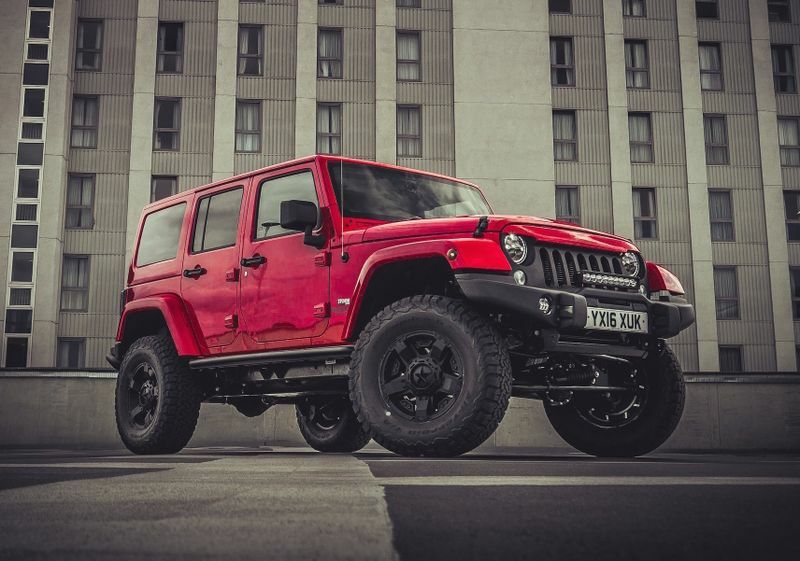 Why settle with standard, when you were born to stand out? 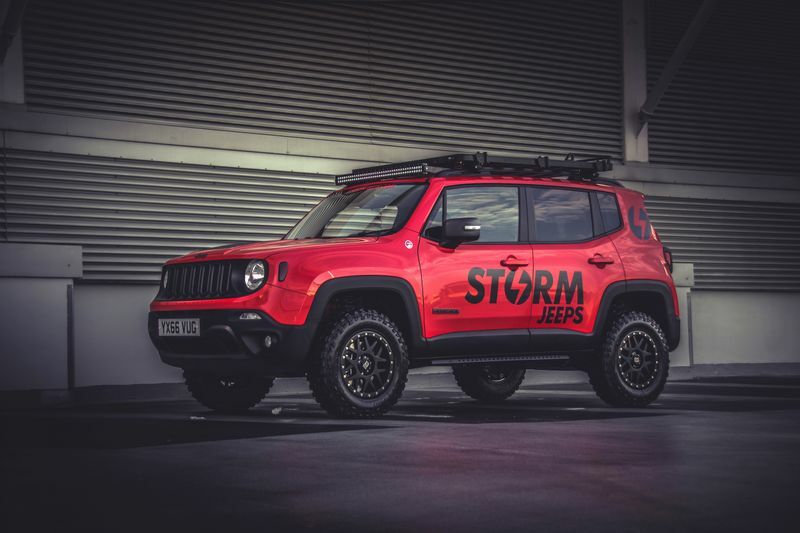 Storm Jeeps are a new concept from Jeepey, a well-respected and trusted name in the off-road marketplace. 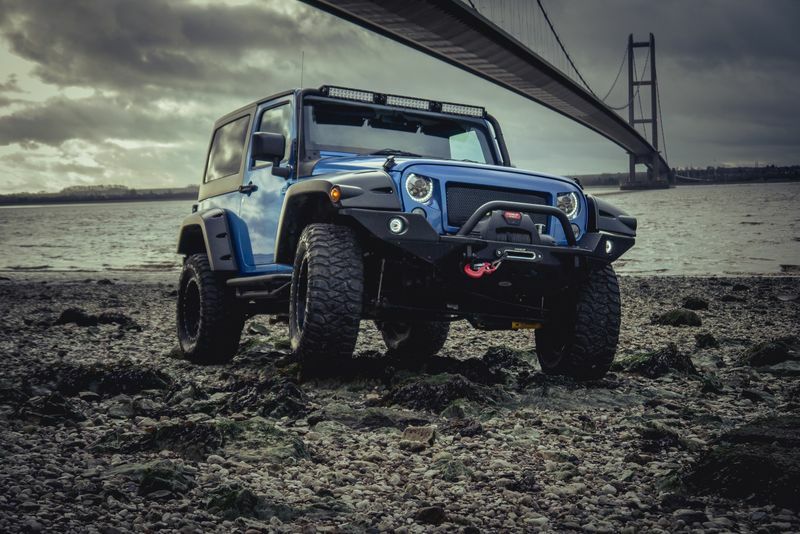 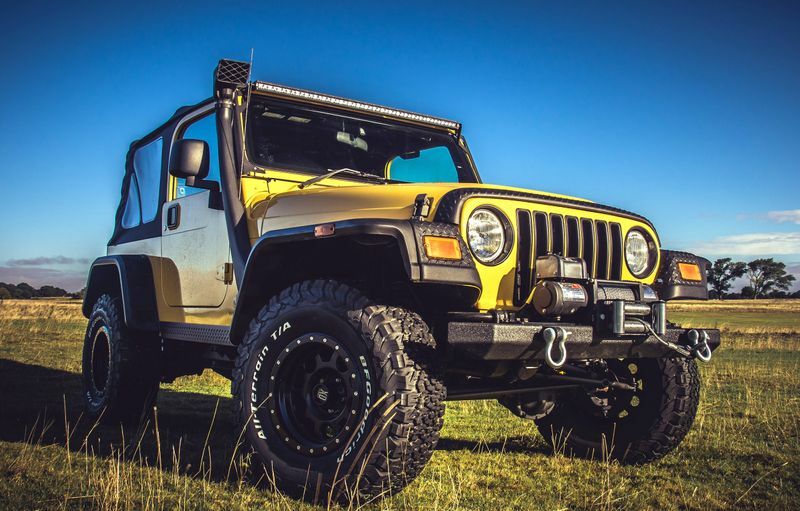 Jeepey was founded in 1999 by Andy Bonner who started to customise his own Jeep Wrangler TJ and became involved in the Jeep Club and off-road scene. 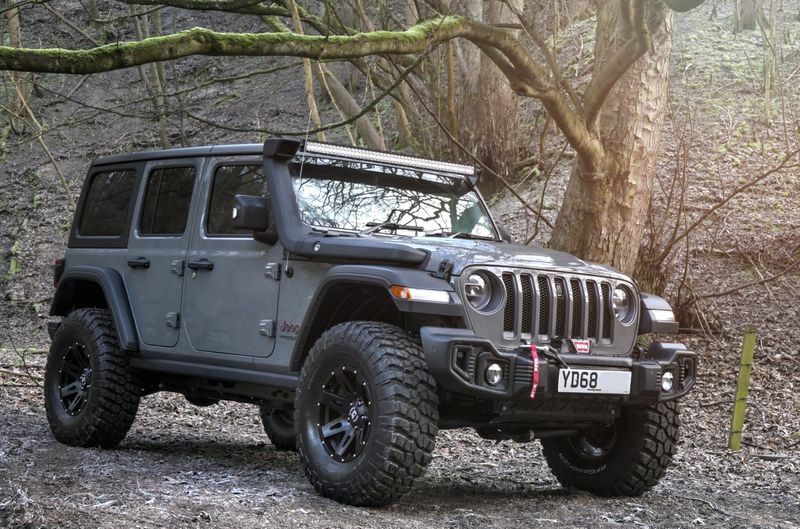 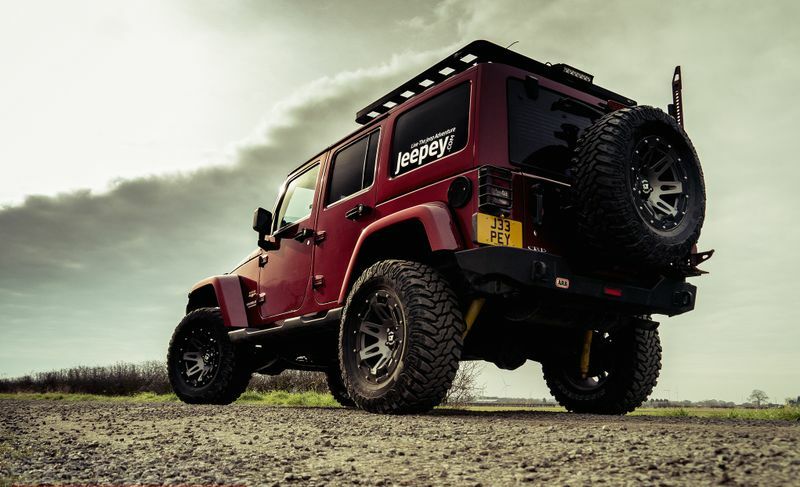 Within a couple of years the Jeepey.com website was born and over the last 15 years Jeepey has grown from an enthusiasts club into a specialist Jeep shop, Jeepey Mart, offering a comprehensive range of aftermarket and replacement parts for Jeep vehicles. 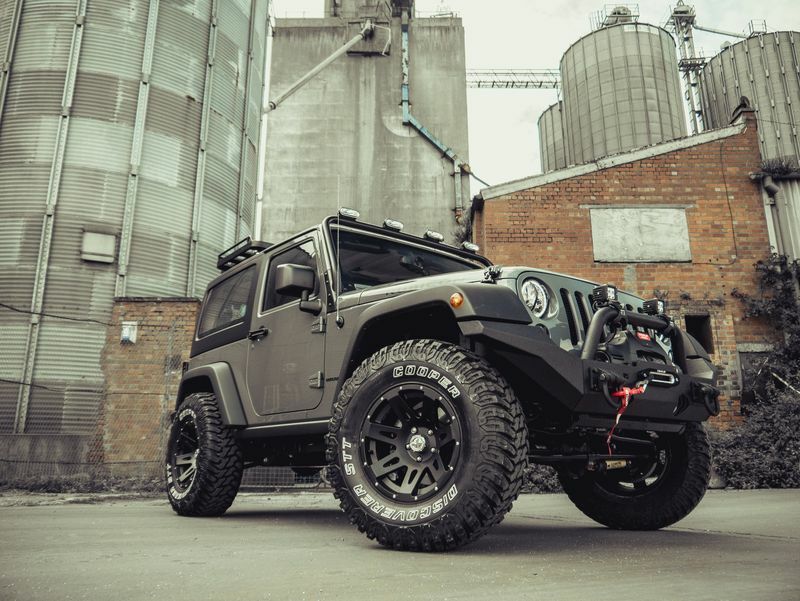 With Andy’s wealth of experience he now heads up a strong team of skilled enthusiasts who are passionate about delivering exceptional custom Jeep builds. 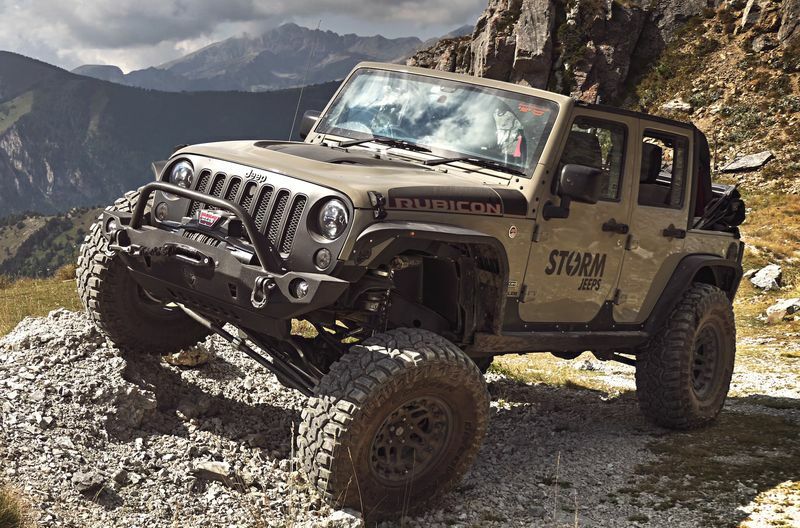 Their passion and knowledge for the Jeep brand allows them to achieve what others can not deliver, Jeeps which are outstanding both on and off-road. 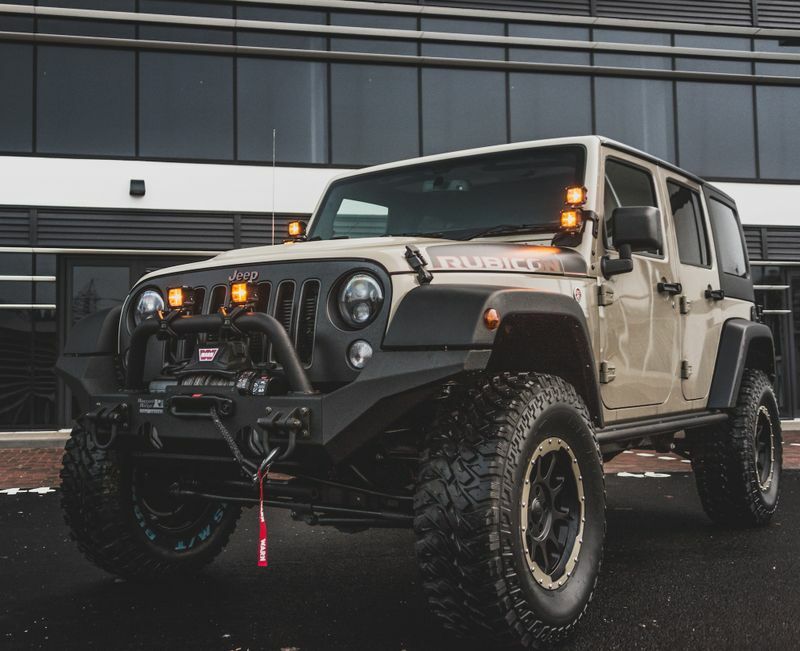 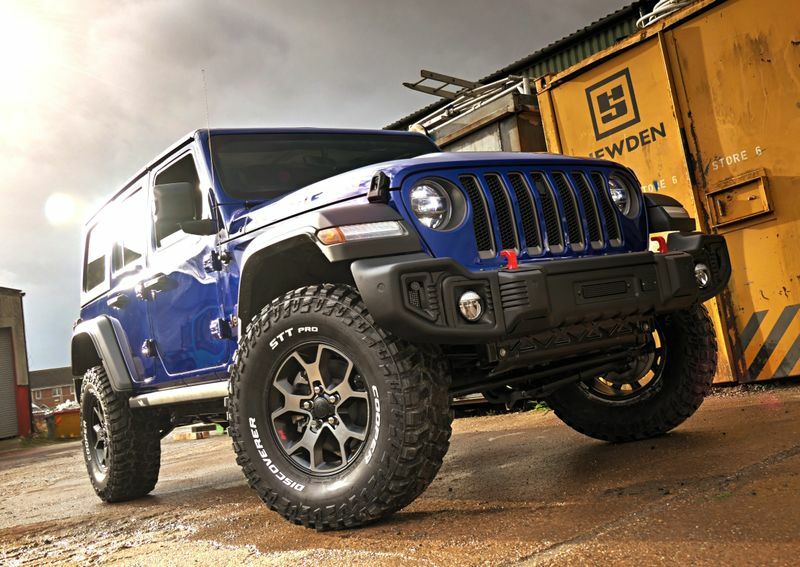 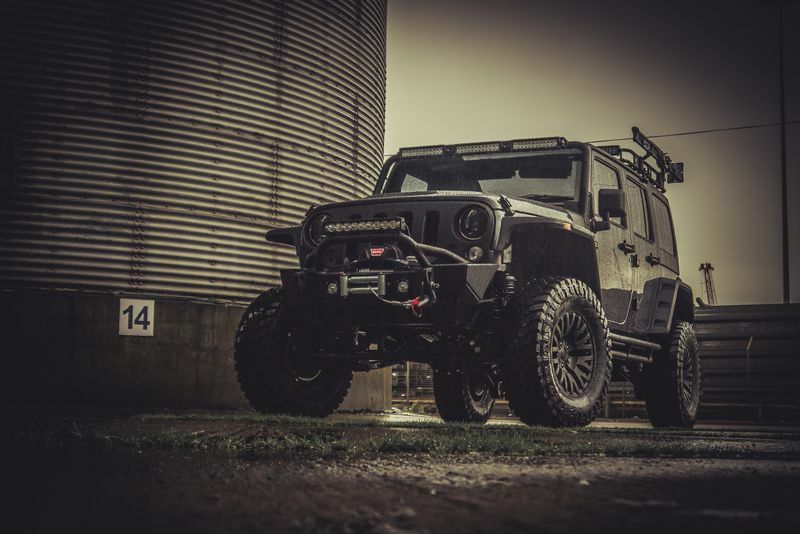 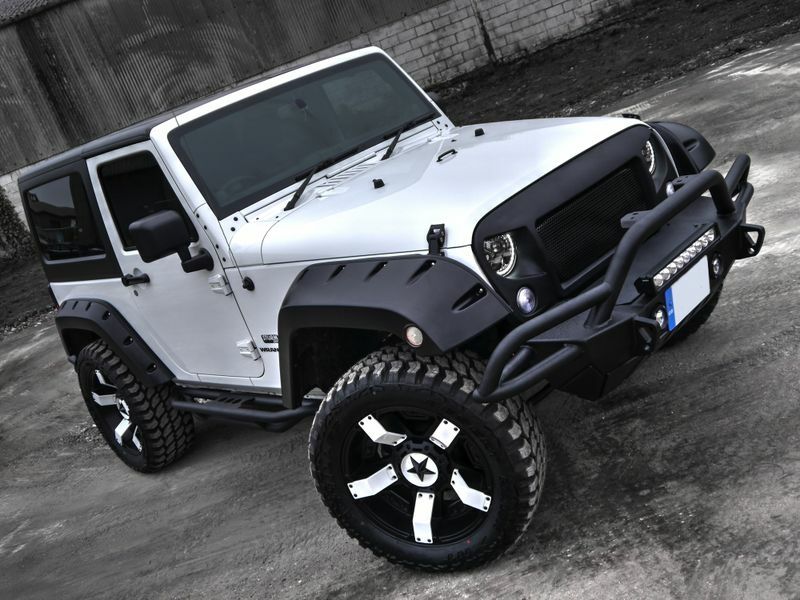 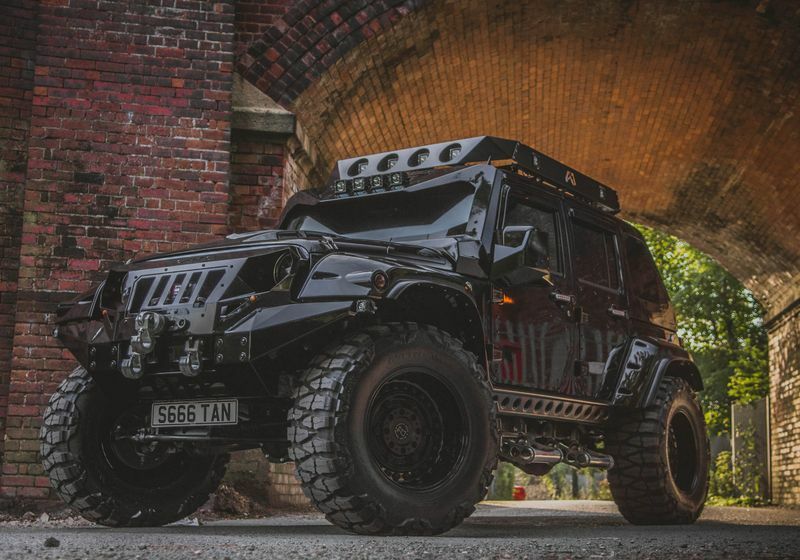 Whether you are designing your own Storm Jeep, or choosing from one of our previous builds to base your conversion, we offer three custom build options to suit all budgets, tastes and requirements. 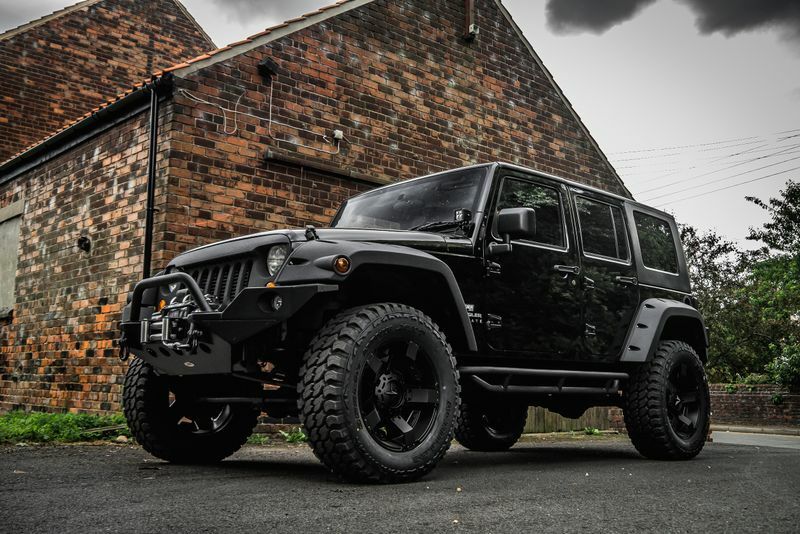 A brand new Jeep direct from the dealer, expertly customised by our team. 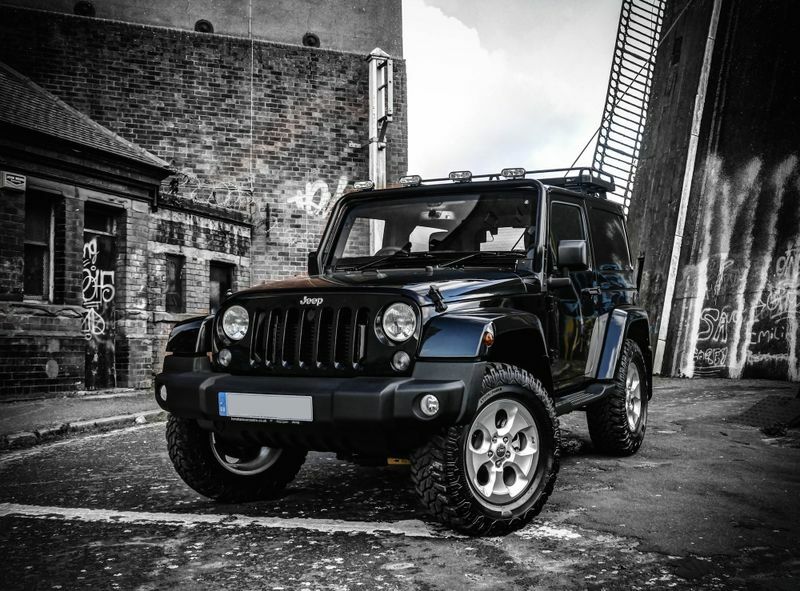 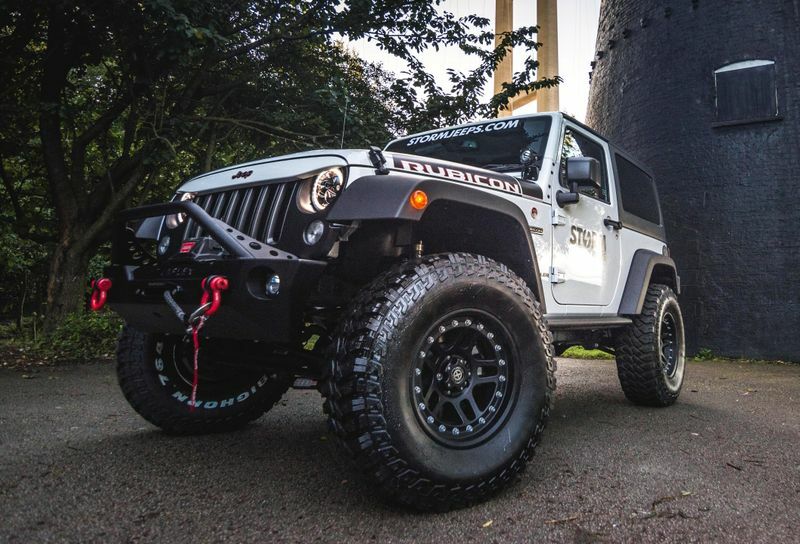 Bring your own Jeep to us and our team will transform it – delivery and collection available. 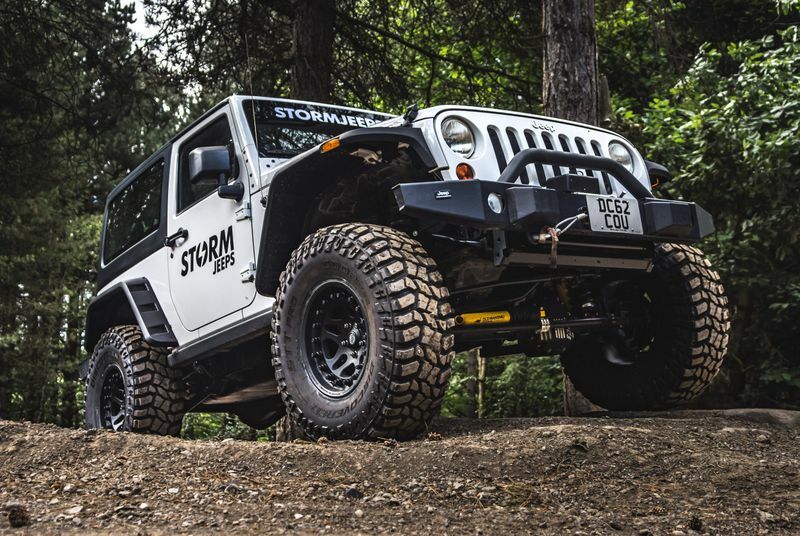 At Storm Jeeps our clients are king, so whichever option you choose we will aim to exceed your expectations at every level of your journey with us. 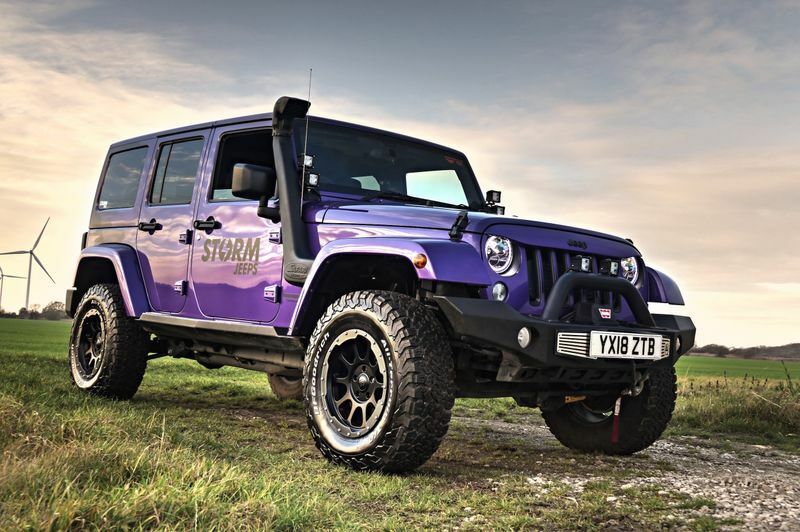 We have a selection of Storm Jeeps, pre-built available to drive away today or ready to build blank canvas opportunity. 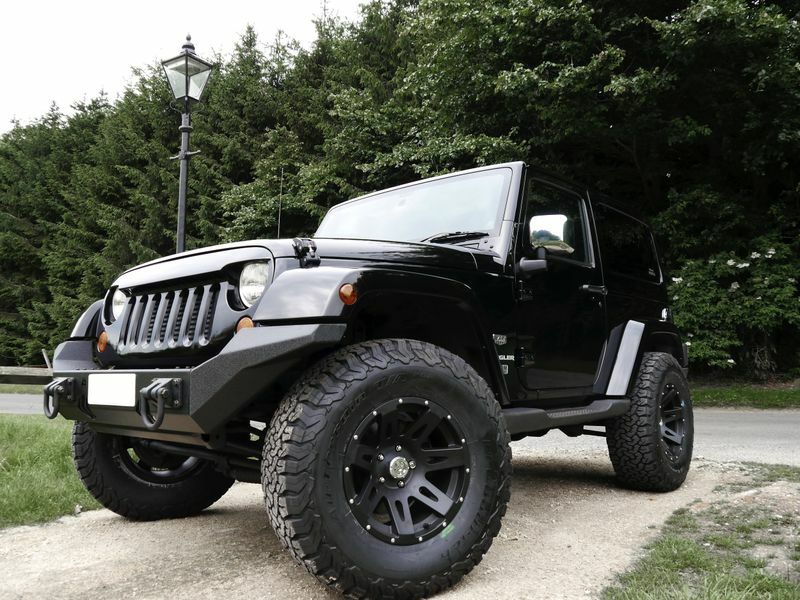 Please contact our friendly team with any enquiries and questions – we will be only too happy to help. 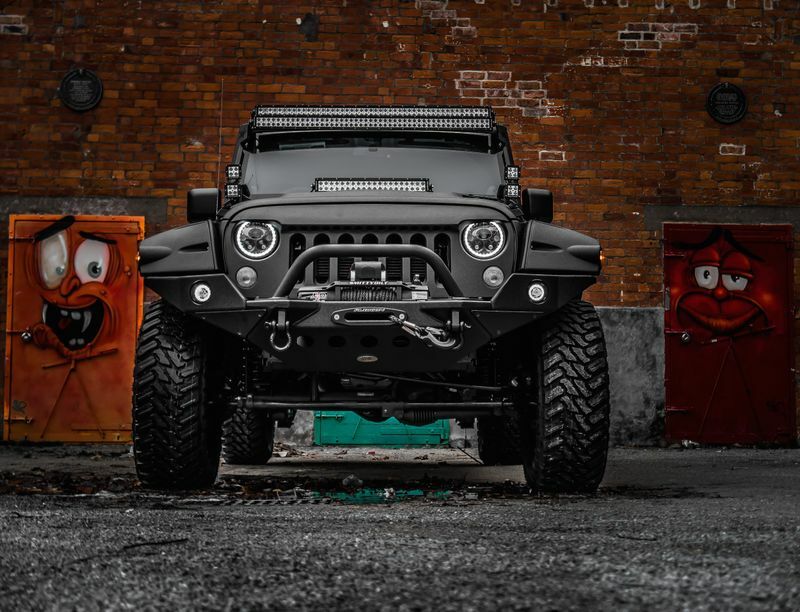 Ignite your imagination and picture the possibilities. 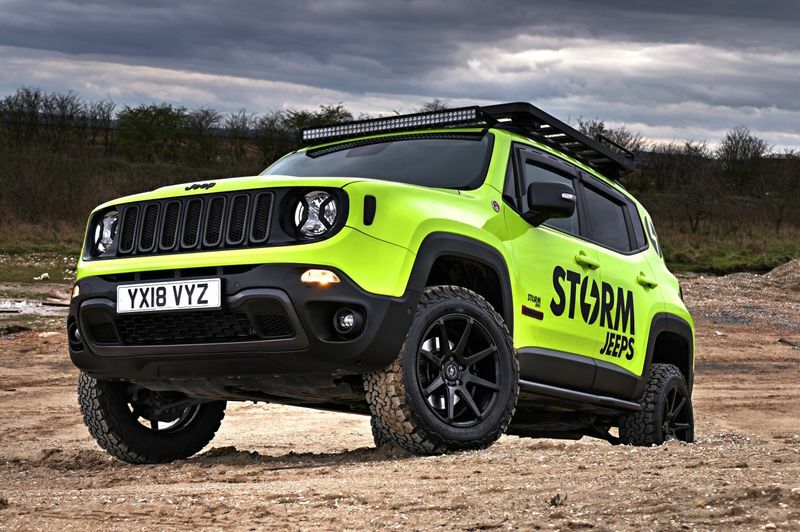 Storm Jeeps are so much more than bolting on a new set of wheels. 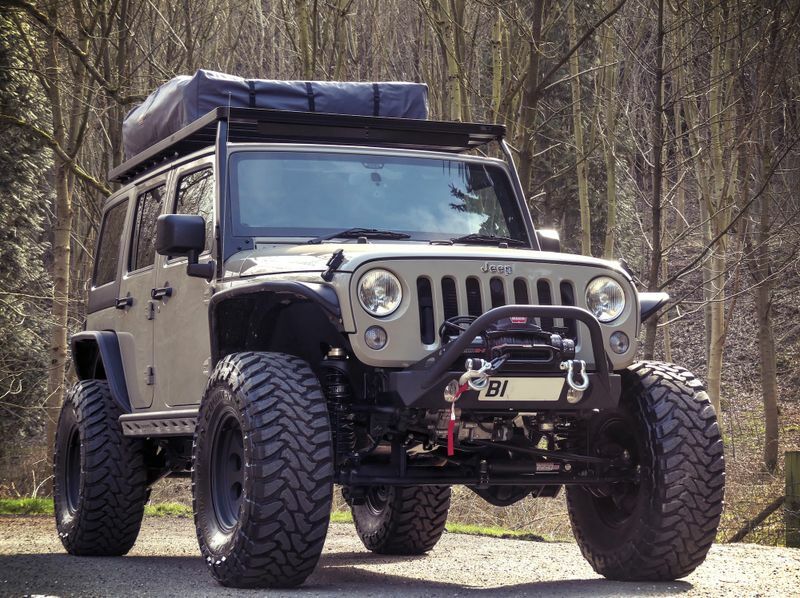 Explore previous examples of our custom builds below and see how our innovative approach could work for you, and please don’t hesitate to contact our friendly team who will be happy to answer any questions you may have. 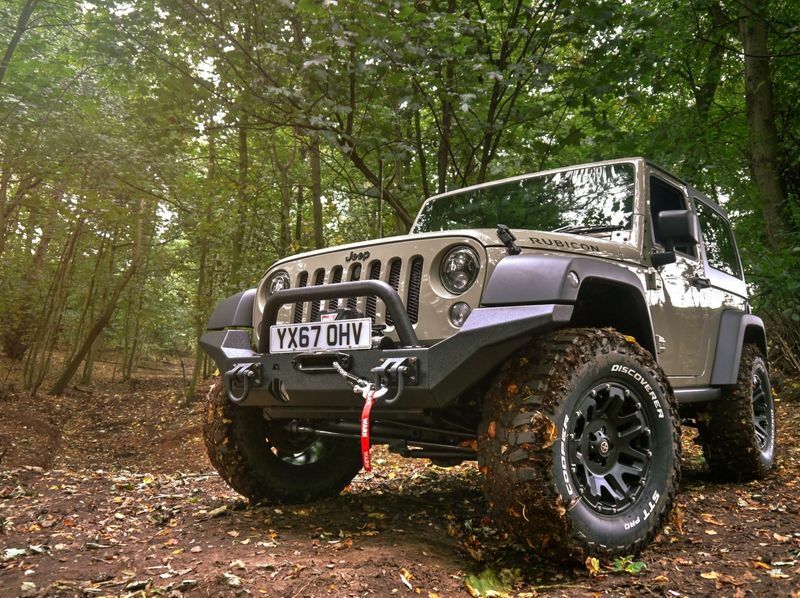 Please don’t hesitate to contact our expert team with any enquiries or questions using the details below, or fill in the form and we will get back to you as soon as possible.